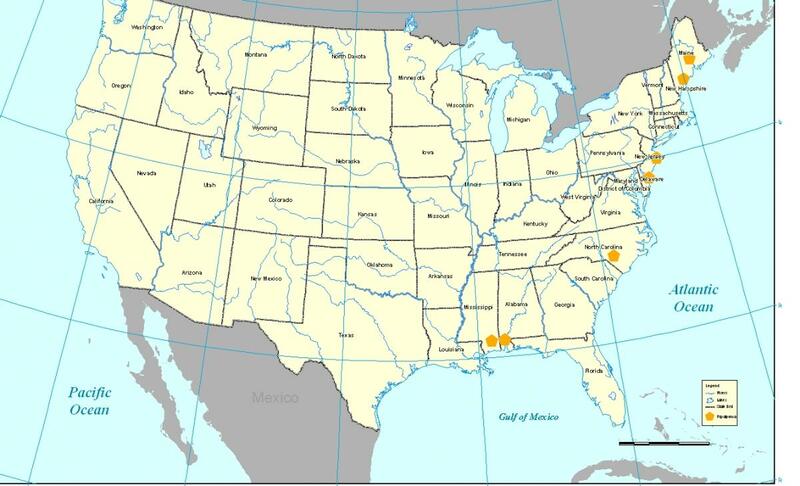 *FMJ knew of populations located there but did not sample them. From Pitcher Plant Insects III. ...The burning over of the meadows makes the work of this insect in the roots of Sarracenia flava much more apparent than in those places where the tangled clumps of leaves of the preceding season conceal the ground. 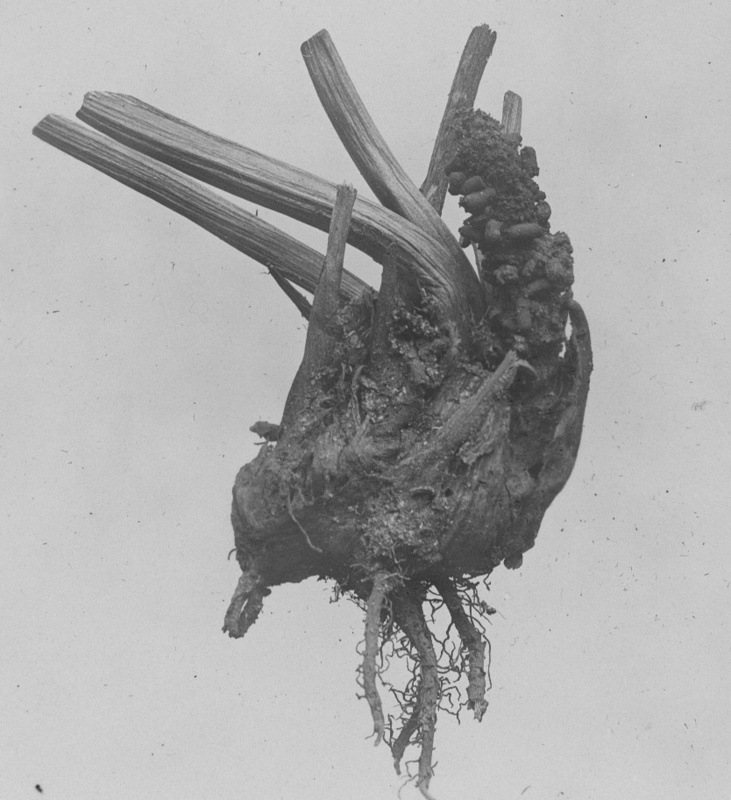 On these comparatively bare portions of the Sarracenia meadows, and especially in the less swampy places, it becomes apparent early in April that a very large population of the roots of Sarracenia flava contains this larva which bores, first perpendicularly through the buds, then horizontally following the course of the rootstock and keeping open the passage to the surface for the disposal of the frass, which is built up into a closed turret-like tube, capping the entrance to the burrow. So numerous are these burrows that whole clumps of flava with their interlaced rootstocks fail for a time to put up either buds or leaves, and many which start to grow are undermined and killed by the operations of the borer. The much larger frass tubes formed in the preceding year by full grown larvae are also noticeable among the roots, showing that these structures are compact and tough enough to last through a winter's exposure to the weather. Their purpose is probably to prevent the burrows from being flooded during rains and temporary inundations. At first only a fraction of an inch in height, these turrets are extended with the growth of the larvae to a height of two inches or more, and are often built against and partly supported by one of the larger fleshy leaf-stems, through which the burrow extends into the rootstock. 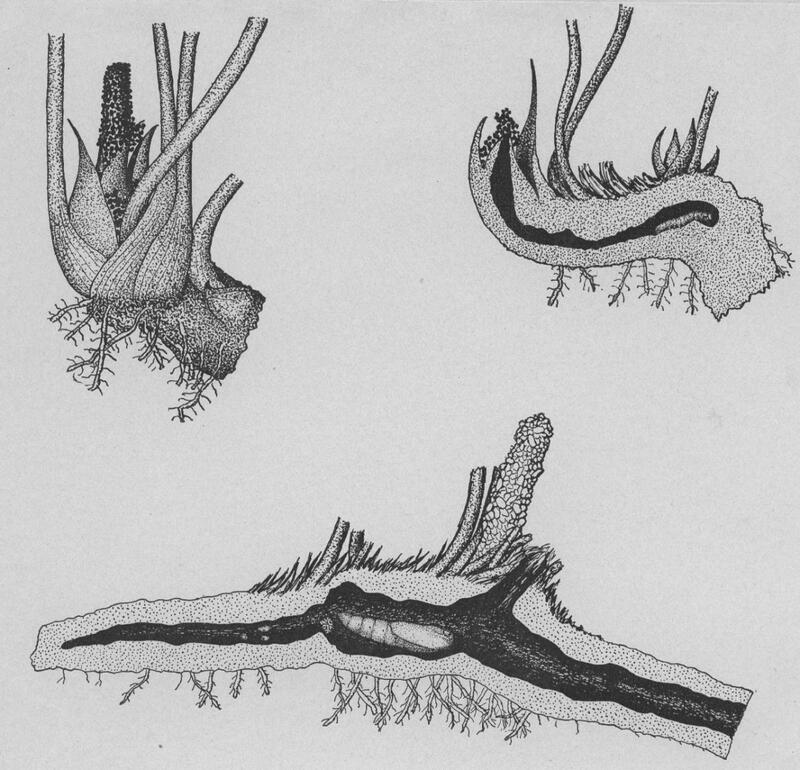 The upper figures on Plate VIII show the condition of the turrets, the extent of feeding, and the position of the larvae in the rootstocks on April first. Throughout the summer these larvae extend their burrows through the rootstocks, throwing up new turrets from time to time as the follow the winding course of the interlaced roots. 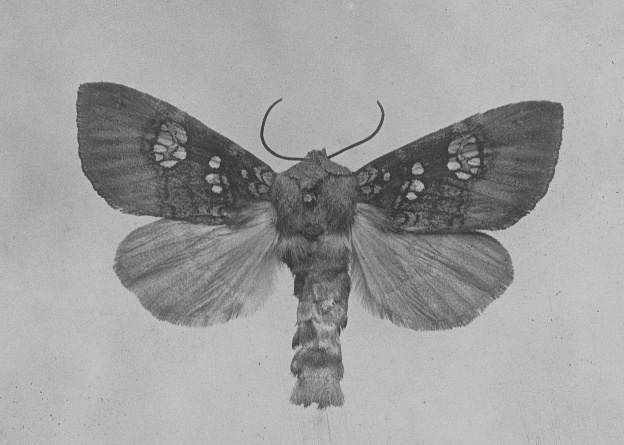 Pupation takes place in a wide part of the burrow, not far from the surface, provision having previously been made for the escape of the moth (middle figure, Plate VIII). The first pupa was noted September 22nd, though some not observed were evidently a few days earlier; the moths commenced to emerge October 16th, the last emergence of eighteen being November 3rd. The unusually long larval period is presumable the effect of the long season in this southern locality, the insect being single-brooded here as in the north. 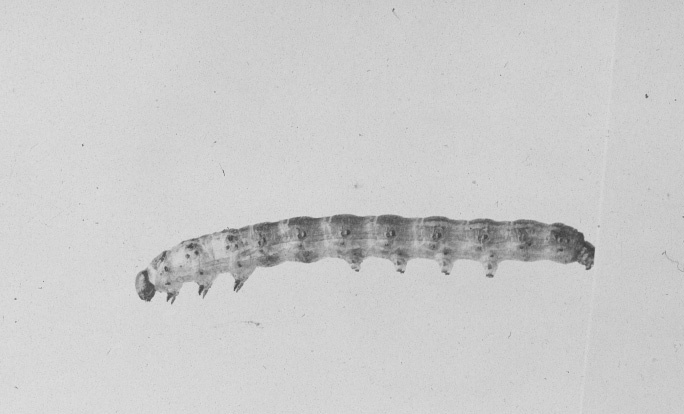 Mr. Henry Bird has described this larva from specimens found in Sarracenia purpurea in New Jersey, in which plant they did not pupate in the burrows, nor was the turret-building habit observed. Mr. Bird has kindly compared the South Carolina specimens from flava with his New Jersey specimens from purpurea, and finds them identical, the examples bred from flava, as would be expected being slightly larger. 1891. Smith. List Lep. Bor. AM., 46. 1893. Smith. Cat Lep. Sup. Noct., 178. 1898. Moffett. Rpt. Ent . Soc. Ont., XXIX, 61. 1902. Dyar. List N.A. Lep., 176. 1903. Bird. Can. ENt., XXXV, 91-93. 1903. Smith. Check List Lep. Bor. Am., 43. 1906. Lyman. Rpt. Ent. Soc. Ont. XXXCII, 39. 1908. Jones. Ent. News, XIX, 150 il. 1909. Smith. Rpt. Ins. N.J., 462. 1917. Bar. & McD. Check List Lep. Bor. Am., 69.